Jo Hart knew a good thing when she was on to it. Living in New York City, she'd become addicted to a two-minute tan treatment in Manhattan, that allowed her to go straight from work and out to the clubs with just the quickest of pit stops. These automated booths allow users to undress privately and follow the instructions of the friendly 'bot within, as they get evenly sprayed all over. Jo contacted the manufacturer, Sunless, and found out she could buy a Mystic Tan booth of her own, to show Melburnians back at home how the golden magic is achieved. With solariums being banned in Victoria as of January 1, 2015, there's never been a better time to revolutionalise spray tanning. 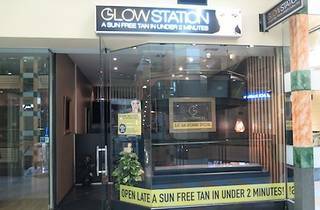 Jo's first tanning salon, Glowstation, is now in the heart of Melbourne CBD. The Paramount Retail Centre is full of beauty outlets covering everything from waxing to IPL to gel nails, so it's a natural home for Jo's new business. The decor is black and gold, and cosy with it – not the sterile surrounds you might expect. It's the perfect position for people popping in on their lunchbreak, or after the gym before they hit the bars. "You don't need to be organised," Jo says of the two-minute turnaround. "You're not victim to your tan." 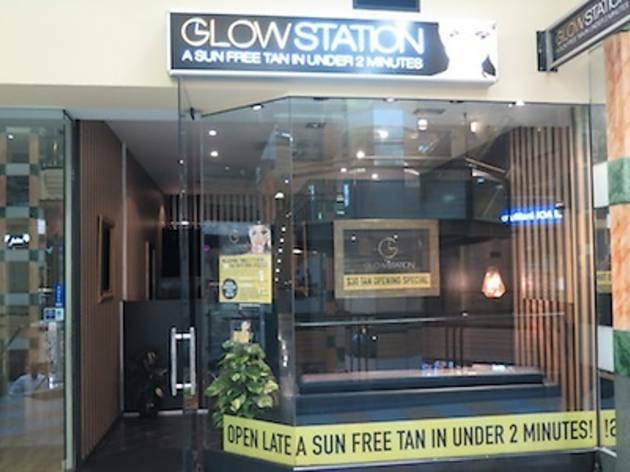 The booths use Magnetan application technology, which uses the body’s own magnetic properties to attract the tanning solution to every exposed surface of the skin. When Time Out offered itself as a guinea pig, it was pleased to walk away with a smooth, even tan that deepened over the next few days and lasted a good week. Jo's dream is to eventually have a string of franchises, keeping the focus on the tan and the tan alone. Got two minutes? Sure you have. Go along and check it out for yourself.